Kuchi's Miss Mae is a medium fawn foundation female we purchased from Wilkins Livestock. She is a product of Humming Hills Suri Farm. 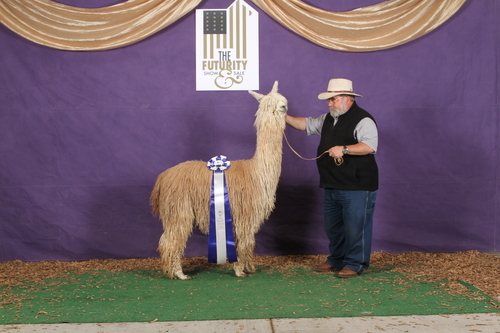 Her sire is HHSF Peruvian Capucci and her dam is HHSF Clementine's Kuchi. Miss Mae's notable offspring include WLK Miss Satin, WLK Sandman, and WLK Copper Top. Kahuna's Sunkissed may be her best work yet. We certainly can't argue. 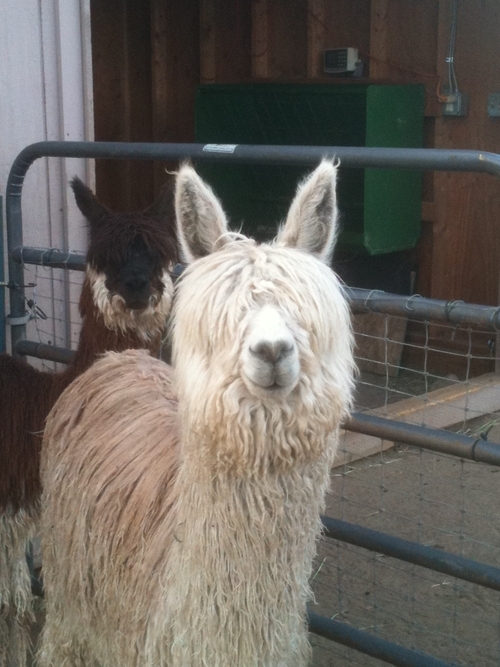 Kahuna's Sunkissed is our multi-colored Pattern, full Peruvian herdsire. 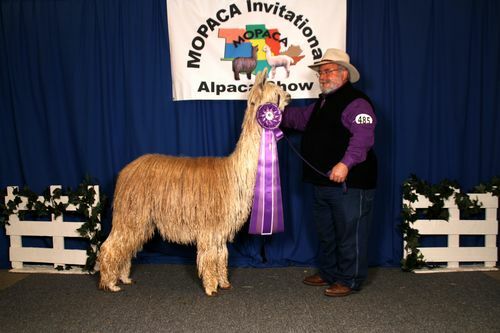 He has won multiple Championships and Reserve Championships including the 2011 Futurity and 2012 MOPACA halter shows, and the 2012 Suri Network Fleece Show. 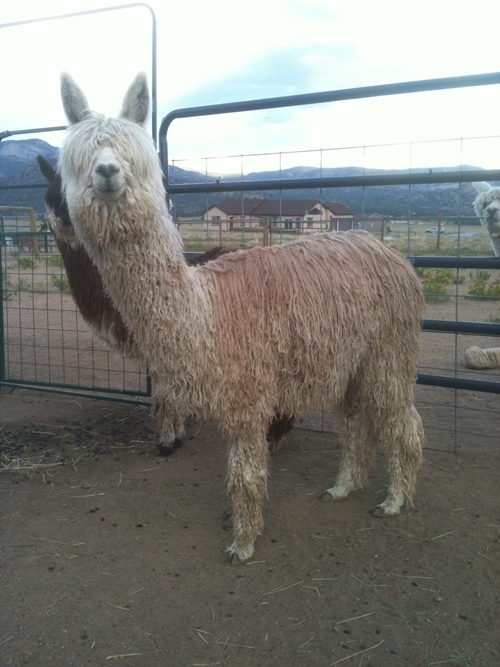 His density and luster are the best of all of our males, and his fleece has that dreamy handle that brings out the "oohs" and the smiles. 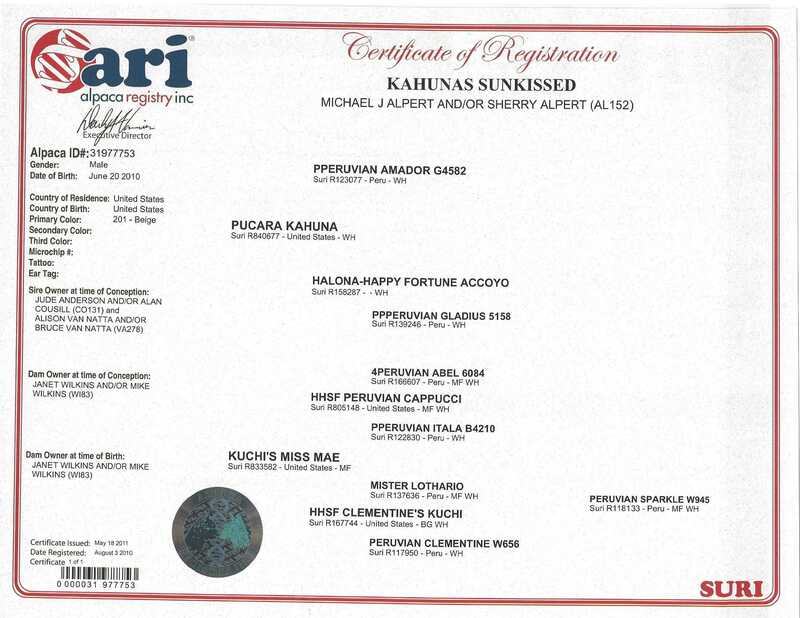 According to Alan Cousill, Sunkissed is the ONLY multi-colored offspring Kahuna has produced to date. Breedings are now being booked in Oklahoma, at $1500.